Whilst Richard Matheson is still chiefly known for his novel I am Legend (1954) and the ensuing film adaptations of it that followed in 1964, 1971, and 2007, and for his screenwriting work for cinema in the 1960s (highlights include House of Usher , Night of the Eagle , The Raven  and The Devil Rides Out  his work for American network television in the 1970’s remains as equally interesting, in spite of the relative lack of column inches it receives. This lack of attention may be due to the fact that a number of his teleplays were overshadowed by the men who directed and/or produced the movies. 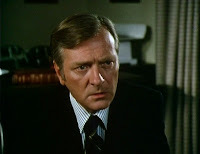 Duel (1971) for example is rarely discussed as a Richard Matheson film despite the fact that he wrote the teleplay and the short story it was based on. Film scholarship has chosen to make Steven Spielberg the main man. His teleplays The Night Stalker (1972), The Night Strangler (1973), Scream of the Wolf (1974), Dracula (1974), Trilogy of Terror (1975), and Dead of Night (1977) were all presided over by director/producer Dan Curtis. For some Curtis is an ‘auteur’, and the films previously mentioned are almost always discussed as part of his oeuvre rather than Matheson’s. In my opinion it is Matheson’s world view that informs these productions, and this state of affairs only goes to highlight an institutional and scholarly lack when it comes too appreciating the contribution of the screenwriter. 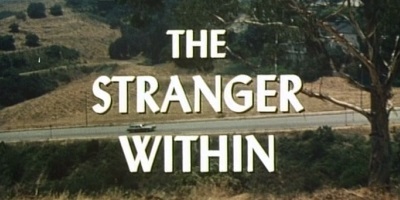 Matheson concluded 1974 with his fifth teleplay of the year The Stranger Within. On this occasion he was working away from Curtis, with directorial duties assigned to Lee Phillips (who later went on to direct the Carrie  rip off TV movie The Spell  and production duties handled by Neil T. Maffeo under the auspices of Lorimar Productions. The movie would air on ABC on October 1st 1974, thus bringing the curtain down on a tremendously prolific and fertile year for Mr. Matheson. Once again Matheson was in the position of adapting one of his own short stories, and as usual it is Matheson’s literate and intelligently structured narrative that most impresses. Almost all other aspects of The Stranger Within suffer from a blandness that at times feels deliberate. A tactic employed perhaps to emphasise the increasingly histrionic and hysterical behaviour of Ann Collins (Barbara Eden). If this is the case then full credit to the filmmakers, but I suspect it wasn’t. A major weakness of the movie is that it lives and dies by its central performance. If you buy into Eden’s performance as the wife of a man who has had a vasectomy, who nevertheless becomes pregnant, and the ensuing odd behaviour that follows, then you’ll get a lot out of this movie. I personally couldn’t stand her performance! The film does do a good job of setting up a rather apathetic vision of upper middle class suburbia. The husband David (George Grizzard) is a teacher, who is quite comfortable with their lifestyle, happy with the decision he made to get a vasectomy (a result of a traumatic miscarriage for Ann) and totally and thoroughly dull. The revelation such as it is, of course leads to accusations of infidelity, and the first third of the movie spends a lot of time covering the accusations and arguments. This is pure soap opera, something a lot of these 1970’s TV movies seem powerless to avoid. Once Grizzard has been given his little opportunity to over-act, and no further explanation is forthcoming, the film concentrates on the increasingly disturbing behaviour of Ann as the foetus grows at an alarming rate inside her. This includes eating copious amounts of salt, drinking gallons of coffee, and speed reading through hundreds of scientific and historical textbooks. It all adds up in David’s mind to one conclusion...Abort! Abort! Abort! So then we enter the next soap opera element phase of the narrative...the obligatory abortion debate! Unfortunately for David it is a moot point because every time they attempt to drive to the clinic, Ann is wracked with agony, and she becomes convinced the creature inside her refuses to be destroyed. Parts of this sub Rosemary’s Baby (1968) intrigue works quite well, and as the narrative goes forward and each expert is dumfounded by Ann’s condition, so the predictability of the conclusion increases. Ann by now is having visions of an alien sea, and these ramblings have inspired her to paint a picture of an alien world. While the abortion debate is contemporary and somewhat opportunistic, it still seems somewhat passé. 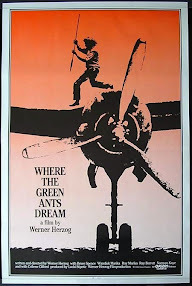 However to the films merit it is a very early example of an alien abduction narrative. Ann’s painting even pre-figures the clay mountain built by Richard Dreyfuss in Close Encounters of the Third Kind (1977), and I feel certain Spielberg would have been familiar with The Stranger Within. The science-fictional twist is a relief, because at certain points it does seem as though The Stranger Within is going to take its imitation of Rosemary’s Baby to the extreme. But these are only minor positives in the films favour; ultimately this movie is a dour affair. All technical aspects are flat, unimaginative, and lethargic. To excuse this as limitations of the medium just doesn’t wash, there was some very accomplished and stylish films being made within television at the time. The film wastes too much time on the adultery angle, too much time on the weird diet (how many times do we have to see Eden eating salt and drinking coffee?) too much time on the speed reading (a point made at least ten times) and not enough time on the alien/sci-fi angle of the narrative. The Stranger Within is a failure, but an interesting one.